Watch our short video to learn more about who we are, and what we can do for you. 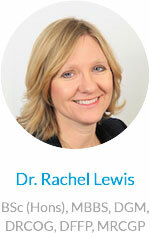 SurreyGP was founded in 2008 by Dr Rachel Lewis, an experienced GP based in the Surrey area. She qualified at St Bartholomew’s Hospital, London and spent her postgraduate GP training at St. Peter’s Hospital, Chertsey. Dr Lewis worked as an NHS GP in a large practice in Woking for ten years before becoming a full-time private GP in 2014. She is also a registered Ophthalmic Optician, having qualified at The City University, London, prior to her medical career, and is mother to three growing children. Dr Lewis has Postgraduate Diplomas in Obstetrics and Gynaecology, Family Planning and Geriatric Medicine. She takes a special interest in providing women’s medical services in a friendly manner and putting patients at ease. Dr Lewis is the Medical Director, responsible for clinical governance, supervising the practice doctors and is the nominated doctor for CQC compliance. 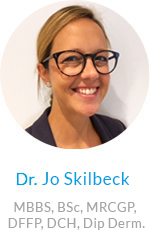 Dr Joanna Skilbeck joined SurreyGP permanently in September 2018 after working with the team for over 7 years as a locum. We’re delighted to be able to offer you another kind, caring and professional doctor in Guildford. Dr Jo has a special interest in skin problems too: another string to our bow! Dr Jo trained in London before dedicating herself to the GP speciality in Surrey. We’re all very lucky to have her on board – you’ll love meeting her. Louise is the Practice Manager and oversees the day to day running of our busy Private medical centre. 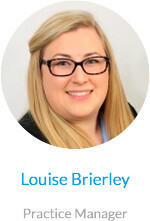 Louise ensures that the SurreyGP office is as efficient as it can be; she knows what’s going on at all times and is an invaluable team member, helping our doctors, and helping you. Richard is the Operations Director and oversees the whole practice, from liaising with the CQC to talking to our strategic partners to ensure that we consistently deliver what we promise, efficiently, safely, and on time. We have other occasional doctors who help us with our surgeries – most have young children and understand the importance of a family friendly practice. Our premium quality service, namely an efficient private GP clinic in the Guildford and surrounding areas, is popular with patients all over Surrey and into the Home Counties. SurreyGP offers convenient appointments for GP consultations. Any tests you may need are arranged promptly. Blood tests, X-Rays, Ultrasound, CT and MRI scans are arranged via private hospitals and the results are available without delay, which enables us to plan any treatment with you in a timely manner. The traditional GP service we offer enables you to see the same doctor every time you visit, ensuring the continuity of your care. You are at the heart of our service: your SurreyGP doctor will always have time to listen to your concerns and discuss all of your options with you. Your SurreyGP doctor is someone in whom you can place your trust.